New Kindle - which one should you buy!?? Do you read lots of books? Do you already own the modern solution for carrying around thousands of books in your pocket? Well, probably many of you have already owned or at leased used an ebook reader and I guess you've all heard about Amazon's brand Kindle which apparently is the most popular ebook reader in the world. In today's post we are going to take a quick look at the current offering from Kindle, their main features and specifications and of course prices. The latest version of the Kindle is thin and light and has a nice 6 inch E Ink display. It fits comfortable in the hand and is very well build. The latest Kindle comes in white and black, and includes Bluetooth audio so you can listen to an audio version of the on-screen text through headphones or a speaker. The internal storage has also doubled from 2GB to 4GB, meaning you can fit a whole lot more e-books on the latest version of the entry-level Kindle. 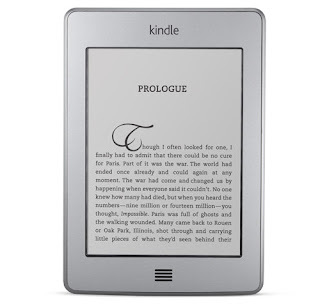 Amazon’s 6" Paperwhite display with exclusive Carta e-paper technology and next-generation built-in light, 212 ppi, optimized font technology, 16-level gray scale is one of the best in the business. It also benefits from a built-in light, which is a massive bonus over the stock Kindle - though it's not quite as sophisticated a component as the Kindle Voyage's. That is one of the two high-end ebook readers currently offered by Amazon. Kindle Voyage incorporates high-resolution display, built-in adaptive front light and a battery that last for very long periods of time. That is the most expensive ebook reader offered by Amazon. Since it is on the market for more than a year and a half I can't say it is also the most technologically advanced. It has ergonomic tapered design and enhanced built-in adjustable light. The battery of the Kindle Oazis is also extremely long lasting. Should I buy new TV?